My youngest son’s summer music lessons have been a successful fulfillment in his desire to learn how to play the guitar. A recital after a month’s session has proven that his skill in taking on this musical instrument has dramatically improved, as he does not only learn how to strum the guitar but also can read notes and chords. Because he wants to learn more, he asked me and his dad’s permission if we will allow him to continue with his guitar lessons on a weekend basis as school year is about to begin by first week of June. Naturally, we said yes, we want him to hone his talent and skill in guitar playing but in one condition that he will also make good in his academic performance as well. Automatically, he answered it’s a deal so we enrolled him again for another set of guitar sessions and made arrangements with his weekend schedule. 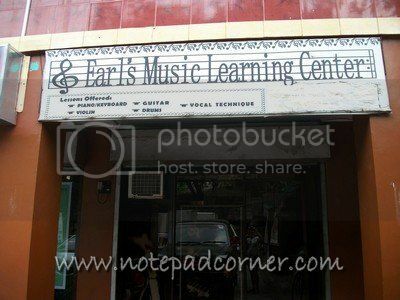 Earl’s Music Learning Center is the music school wherein my son, Yahmir took his summer guitar lessons. It is administrated by two young entrepreneurs - a husband and wife tandem both graduates of Conservatory of Music in the University of Santo Tomas. What makes this music learning center special is that they teach and handle their students on a one-on-one basis, with recorded evaluation reports for parents to know the standing of their children in learning their field of interest in music. Aside from rendering quality education in music, they also offer affordable packages to choose from. 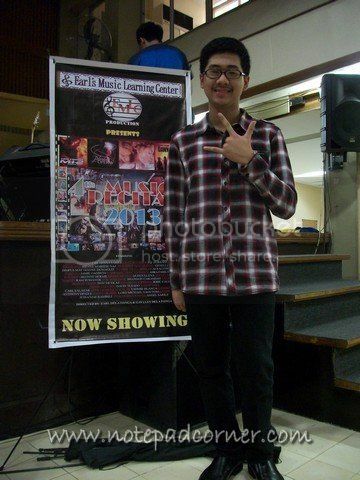 Last March 27, 2013 EMLC 4th Music Recital 2013 was held at the Capitol City Baptist Church in West Avenue Quezon City. We were so happy and honored that Yahmir was one of the recitalists. He played his piece I’ll be there from the motion picture Friends. Below is my son’s performance. Enjoy watching!